Earlier this month, Coach Michael Rudd was awarded the NSCAA High School Coach of the Year Award for his work with the ARHS boys’ soccer team. The award was given based on the candidates’ knowledge of the game, community involvement, and rapport with the team, officials, fans and other coaches. Rudd’s philosophy on and off the field is valued by players and coaches alike. This sentiment was mirrored by player Liam O’Connor. “He lets players use their time on the field to express their skills. Rudd uses practice time for teaching, not game time,” said O’Connor. “He might have one on one conversations on the sidelines, but it’s him standing next to a player. They are having a conversation,” said Mr. Ferro. “Fellow coaches recognize his abilities to communicate and work with high school students to produce results,” continued Mr. Ferro. When Ferro received Rudd’s resume as part of the process of finding a new soccer coach, he was instantly struck by its strength. This was due to Rudd’s many years of playing and coaching many various levels of soccer. 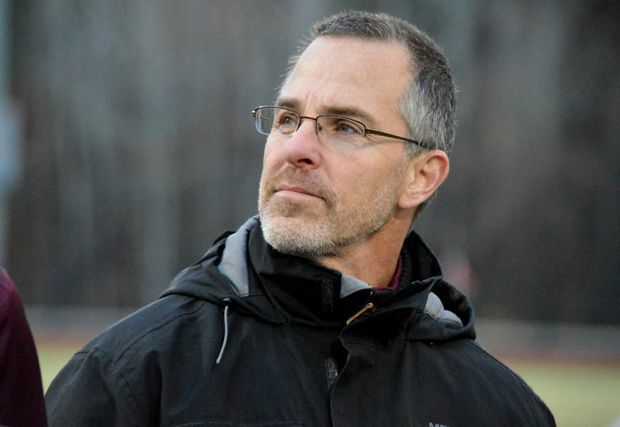 Rudd has been coaching for 20 years, five of which were in Amherst. Ferro and ARHS were not disappointed. Coach Rudd has received multiple awards in the past few years, including the NSCAA and MassLive Coach of the Year awards. Additionally, Amherst has won the Western Mass. championship for three of the last five years.